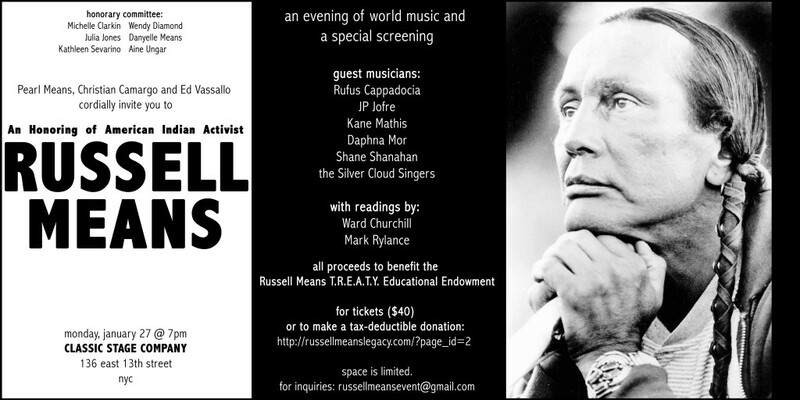 The Christian Camargo Blog: Please join @therealcamargo Jan 27th in NYC for Russell Means Honoring! Please join @therealcamargo Jan 27th in NYC for Russell Means Honoring! An Honoring of American Indian Activist Russell Means. An evening of world music, readings and special preview of "Conspiracy To Be Free." All proceeds to benefit the Russell Means T.R.E.A.T.Y. Educational Endowment.